I have always wanted to prepare my own homemade yogurt recipes . I remember when my mom used to prepare them. They were so good that they disappeared in few days. Sometimes they disappeared before she had the time to put them in the yogurt maker (affiliate link). I used to sneak one before, shush, don’t tell her. Since I did not have a yogurt maker, I didn’t bother preparing them. I know that some homemade yogurt recipes can be made without a yogurt maker but I did not want to take any chances. So when I stumbled on a yogurt maker for $20, I did not hesitate to buy it! We eat 5 yogurts a day as a family (for a total of $20 a week at around $6 the pack ), so a yogurt maker would be totally worth it for us. Since it’s the first time in my life I’ve prepared homemade yogurt recipes, I turned to my mom for a recipe and she gave me one. But the funny thing is that you need yogurt to make yogurt! I searched long time on the internet and all the recipes called for yogurt as an ingredient. Anyways, I tried the following recipes. Some of them were a hit and some of them a flop (they were more like drinkable yogurt than a real yogurt). Take a look! Pour in the cups of the yogurt maker. The yogurt was not thick enough! It looked more like a drinkable yogurt. But it was good! 4 cups of 3.25% milk. Notice that I used a different milk! I decided I did not want to add dried milk powder. Again, cook for 8 hours, then try it. Results: it turned into a thick delicious yogurt. I usually add some maple syrup and fruits into it but you can eat it plain! This one was a huge success.. I highly recommend it. Result: it’s a great recipe too! It added extra thickness to the yogurt recipe and it was a hit. Will I make these homemade yogurt recipes again? Yes! The above recipes of homemade yogurts are easy to prepare! I really love the taste of it! They make great easy breakfast ideas too! Since I eat these homemade yogurts, I find that the store bought ones have too much sugar. But I will not stop from buying store bought yogurts because they are very handy to add into lunch boxes! 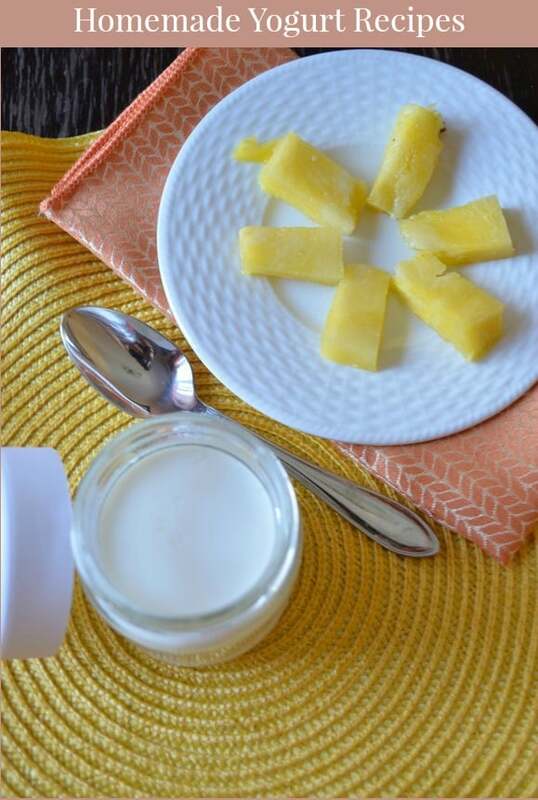 Do you prepare homemade yogurt recipes? Share one of your easy recipes with us in the comment before! We will add it to our post! I presently have a batch of your recipe #2 going in my yogurt maker. I have the glass yogurt cups pictured, and the instructions that came with the machine say to heat the milk first, and I haven’t liked any of the outcomes. They all end up like drinkable yogurt, (or even worse, some have been slimy) which we do not like. Your recipes don’t call for that, so I am really hoping it turns out something thick and yum because I am almost over this machine! I love the photos of the yogurt with the fruit, do you flavor your yogurt before or after “cooking” it? I am sorry to hear that. I don’t heat the milk before, nor flavor the yogurt. My first attempts turned out liquid so I increased the plain yogurt dosage and added 2 spoons of dried milk. Let me know how it turns out. Looks delicious! I wish I owned a yogurt maker! 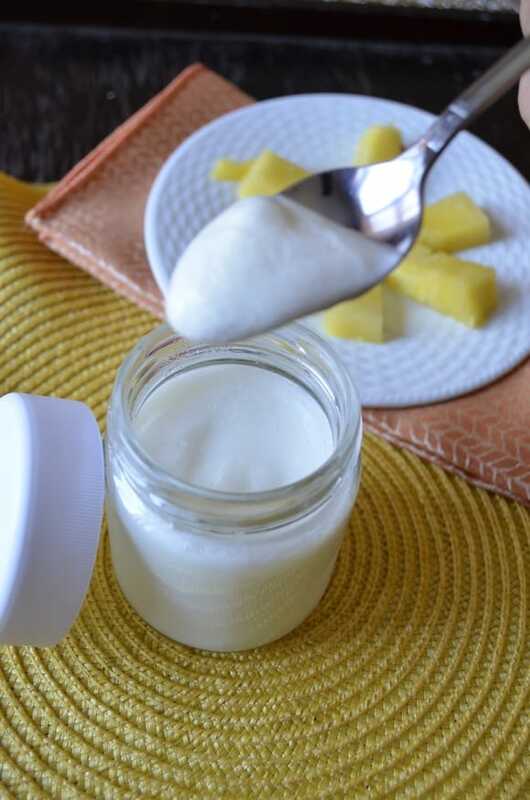 There is nothing better than homemade yogurt, I have to have my yogurt everyday. Thanks so much for sharing this great recipe with Full Plate Thursday and have a great week! I have a yogurt maker but I haven’t pulled it out in a while. With a family of 6 the organic yogurt is getting rather expensive, so thanks for reminding me to do it again 🙂 I did sometimes have the trouble of runny yogurt, I will try the suggestion of using more or even greek yogurt. I Want One Of These Looks Yummy!! I would have never thought of making yogurt from scratch at home. THANKS! Well it reminded me so much of my childhood. My mom used to make it for us and I used to love it. I really need to look into this more and try it out. My kids eat yogurt like its candy and it would probably be a lot cheaper to make it. Thanks for the recipes – I am going to have to try them. Our new yogurt maker just arrived yesterday! I have dairy goats so I make all manner of things with their milk. I love making my own yogurt! I usually just put in whatever fresh fruit is in season or a little honey is good, too. This looks so good! 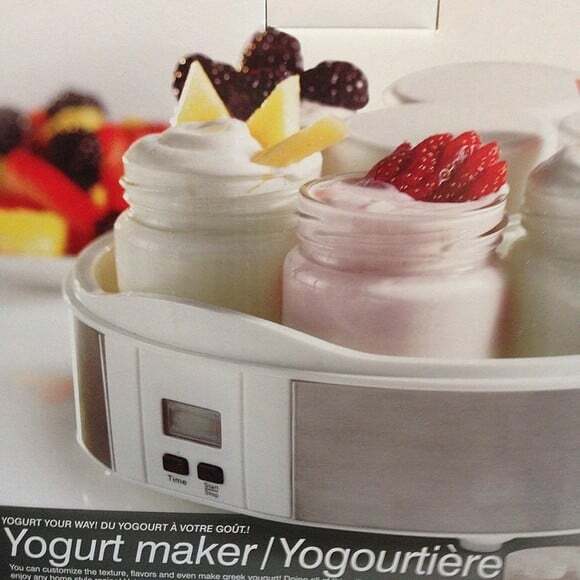 I would love to have a yogurt maker! At least then you can control what goes into it and you know exactly what is in it!